JJ: I am extremely pleased you have stayed with us so far. Few realize the hurdles that one must cross when he comes from a strict religion that his life and lifetime has been dedicated toward. Most of the people in this group have not come from a past that was dedicated to a structured religion and probably do not appreciate your struggle. Let us imagine presenting some of the teachings we have discussed to a Catholic priest, a Seventh Day Adventist minister, A Televangelist, a Jewish Rabbi, a Jehovah’s Witness. etc. 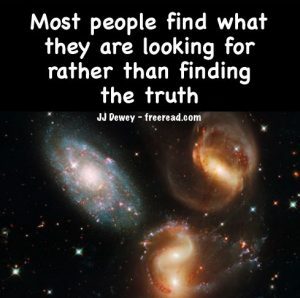 Now many who see a greater light may look at these people with some contempt and feel that they deserve the darkness they are in, yet there are many loving sincere truth seeking people caught in dead works from which they cannot escape. Many of these people are potential lights that are trapped in prison and their iron bars are the rules set by their established religions. The frowns of their elders on outside teachings are locks that keep the prison doors shut. Now you, being a Mormon are one of the few within highly structured religion who is taking a look outside. Most who look outside and see something unsettling, like the word Lucifer used in a positive light, will tremble with fear and retreat again behind the prison doors, no questions asked. One of the problems you may have is that some of the group that you teach may think you are in league with the devil as you relate some these teachings to them. Hopefully you have prepared them well. Both Blavatsky and Alice A. bailey are difficult reading and many read a few pages and quit. The Master Djwhal Khul who was one of the three wise Magi from the East and currently works in association with the Christ was the main source of knowledge for both of them. The works of Alice A. Bailey are superior to Blavatsky for several reasons. First because they are a later revelation and secondly because they are the actual words and thoughts of a Master in an higher state. Blavatsky received many teachings from the Brotherhood but put them all down in her own words and mixed many of them with her own ideas and thoughts. There is therefore, much truth in what she writes but they must be read in the light of the soul to make sure the truth is discerned. Alice A. Bailey’s writings are so accurate that my soul almost gets lazy when I read them. Seldom has a red flag gone up as I have plowed through the books. There is a strong correlation between Alice A. Bailey and Joseph Smith. Joseph was tutored by a teacher who had overcome death and appeared to him in a physical body. He was told that he would meet with the messenger periodically until the time of his mission. Even so Alice A Bailey received her first contact with a Master in a physical body at the age of 15. One named Koot Hoomi appeared to her and told her of a mission she had, but first there would be a time of preparation. Just as all the revelations of Joseph Smith were given in full consciousness so were the writings of Alice A. Bailey. Outside of the Spirit of Truth, the greatest witness to her work is to read a book she wrote on her own and then read one that was dictated to her by Djwhal Khul. On an intellectual basis alone one can see they were written by two different people. – one a reasonably intelligent disciple and the other a Master of Wisdom. And concerning free will. Yes the dividing difference between the Brotherhood of Light and the Dark is free will. This is the point where the great struggle lies. Bailey and Blavatsky definitely teach in this direction. I personally would not support an angel from heaven if he taught otherwise. For your first book I would suggest A Treatise on White Magic. Keep in mind here that a white magician is one like the Christ. When you begin reading this I would advise that you force yourself to read the first 100 pages. After you get that far you will be hooked. I received a question as to whether Jesus actually sweated blood as described in Luke 22:44 which reads, “his sweat was as it were great drops of blood falling to the ground”. All indications here is that Jesus was under tremendous stress that at least caused an appearance of sweating blood.